The morning is a special time. When nature wakes up and the frist sun rays caress the mountain you can find us on the Sonnenterasse or in the Südtiroler Stuben of the Kristallalm. A special mountain breakfast awaits you there. Order via telephone or email and receive an ascent and descent with the cable car K-Express for free. 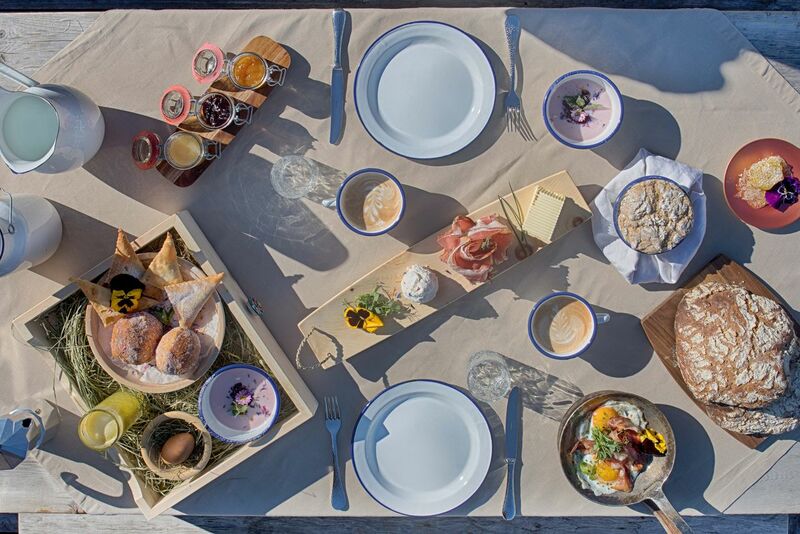 Enjoy daily, from 08.30 am to 11.00 am, our special mountain breakfast “Gourmet” or “Deluxe” on the Sonnenterasse or in the Südtiroler Stuben of the Kristallalm at Klausberg.